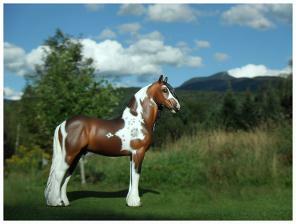 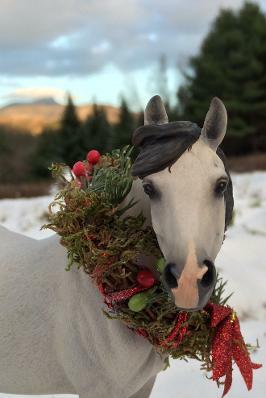 Using a mixed media technique involving pastels, acrylics and even colored pencils, Karen's model horse finish-work is meticulous. 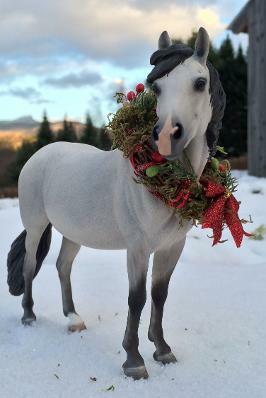 Fine details aboundfrom their eyes to their hooves. 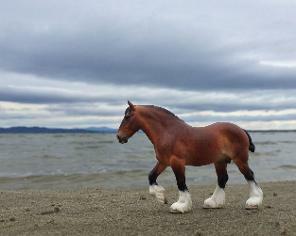 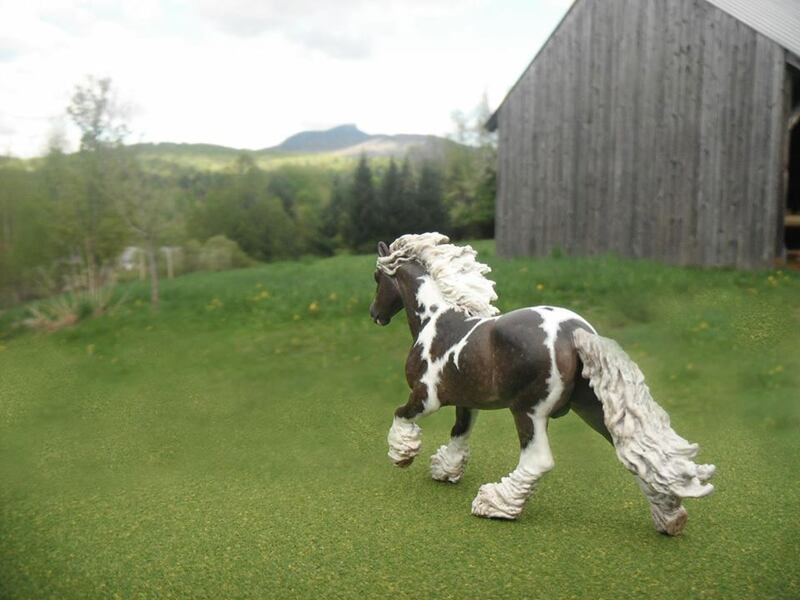 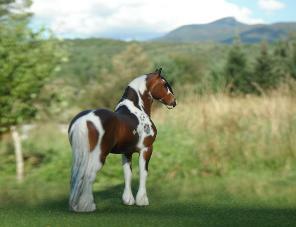 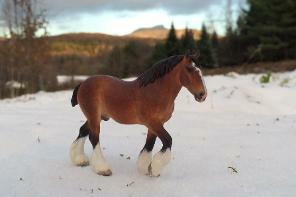 Once completed, the miniature horses are carefully transported to beautiful spots in Vermont to create photographs that blur the line between realism and make believe.